Domestic violence is a pattern of abusive behaviors used by someone to establish power and control over another person in a relationship. Domestic violence sometimes follows a cyclical pattern in which there are periods of calm, building up of tension, and then abuse. After a period of abuse, batterers are often apologetic, but as the cycle repeats the abuse usually gets worse over time. If abusers recognize that their behavior is wrong and sincerely want to change the way they act, they can get help through batterer’s intervention programs, therapy, and spiritual counseling. ​​Facts: The statistics indicate that one in three women in the USA is, has been, or will be a victim of domestic violence. 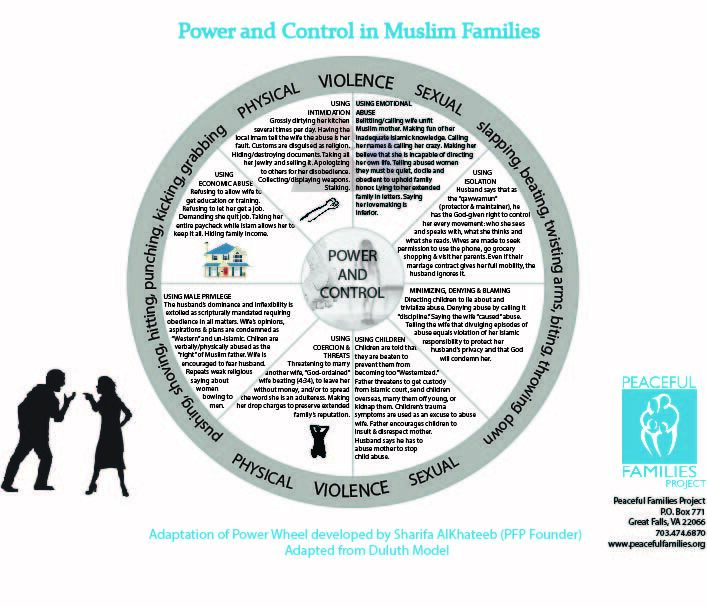 According to the Peaceful Families & Project Sakinah 2011 DV Survey, 53% of American Muslims experience some form of domestic violence – which may include emotional, verbal, financial, physical or sexual abuse. Children: Many people think that domestic violence does not affect children. However, children who are in households where domestic violence is happening have the same symptoms as children who are abused themselves. 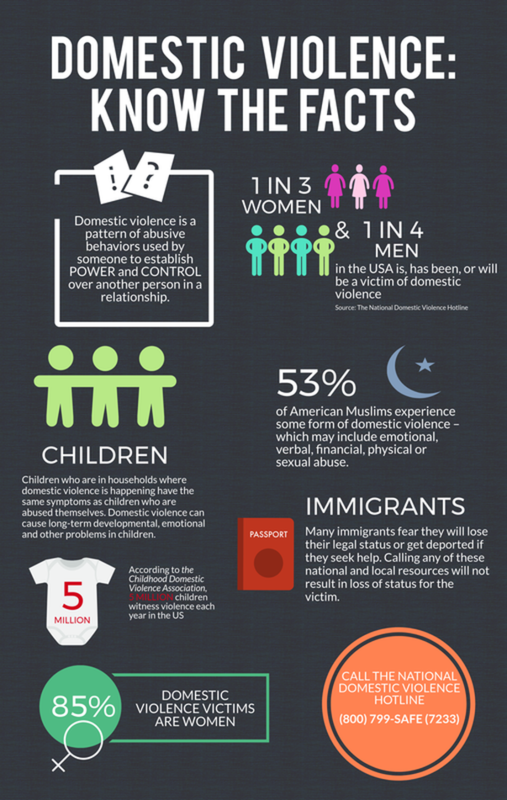 Domestic violence can cause long-term developmental, emotional and other problems in children. Immigrants: Many immigrants fear they will lose their legal status or get deported if they seek help. Calling any of these national and local resources will not result in loss of status for the victim. Please call local organizations directly to get more information about your particular situation. Copyright 2000-2017 / Peacefulfamilies.org / All Rights Reserved.